I’ve been a writer for most of my life. I love writing stories. I love telling stories out loud, too. 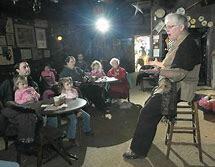 I’m a member of the Lehigh Valley Storytellers Guild. Members are in various stages of learning and performing storytelling, and it’s quite a fascinating bunch. Some tell original fictional stories. Some retell fables and tales from different cultures. And some tell their own life stories, snippets and memoirs of their life journey. Through this group, I think, I’ve learned the absolute worth of LISTENING to those life stories. I’m seeing that every single person has a story to tell. Most are not going to tell it on a “stage”, or write it in a memoir. But it’s a vital story nonetheless. With this awareness, I’m hearing stories every place I go. I know this makes me a better writer. But it also makes me a better PERSON. Today I’m well aware of the challenges life can present. My husband is fighting cancer, and it’s a rough road. His prognosis is good, and we’re very grateful for that. And grateful for good medical care. We’re meeting so many folks along the path we’re travelling, and we’re aware and listening to their stories. Each life story that I’m blessed to hear shows me more flashes of the beauty of the human spirit. When we share our stories, either telling or listening, everyone’s life gets richer. I really feel this today. Today a sweet man named Rolando told me of a near death experience a few years back that totally altered his life, his motivations, his beliefs. I was mesmerized. And inspired. I think his story changed my outlook a little today. I'm very grateful. Last week, an aged man I met in a long line at the grocery store told me a tale of his childhood, learning to fish with a net on a distant shore. His eyes sparkled at the memory. It warmed my heart. My beloved seven year old granddaughter explained the intricacies of the challenging social dynamics at her summer camp at the library. I guess sharing is a learned skill. It was important to hear her. And endearing. And downright entertaining, to tell the truth. Stories. We all have them. We need to share them. And hear them. What’s your story? Christine Bush is a USA Today Bestselling author of romance, romantic mystery, and suspense. She can be found living in the Lehigh Valley in Pennsylvania with her husband and 2 lazy cats, and spending time with her 12 grandchildren. When she’s not writing, she’s teaching Psychology at a local college, and working with clients in her private practice as a Marriage and Family Therapist. She loves to hear from readers and writers! 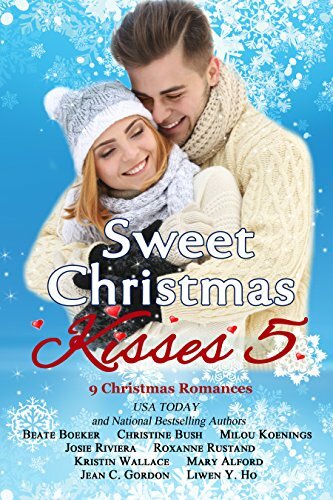 Our new Christmas anthology is coming! Available for preorder right now! Go get it! Wonderful post, Christine. Thank you for reminding us of how important it is to listen. Sometimes listening is the greatest gift we can give someone. What an absolutely beautiful post. So much heart-felt information and thank you so much for sharing. Thanks for sharing. Listening is an important skill. Such beautiful words, Christine! I'm often guilty of listening without LISTENING. Thank you all for listening to me!!! Grin.